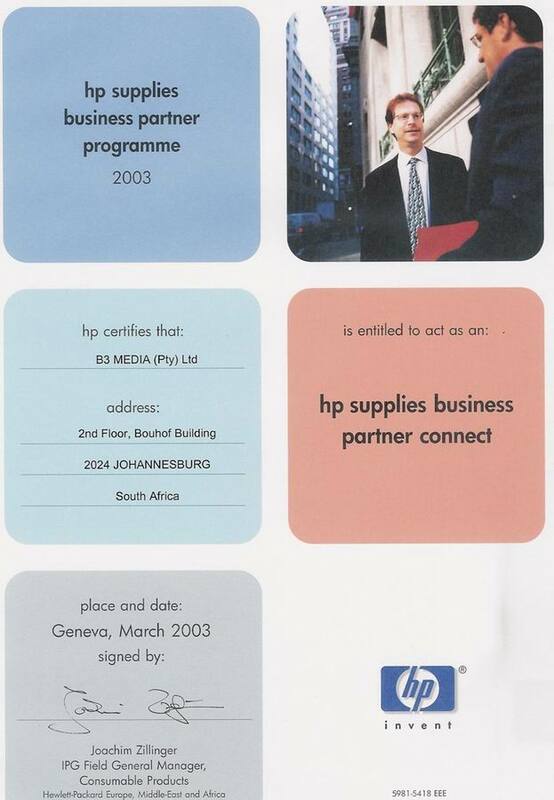 B3 Media Product (Pty) LTD is a Lever 2 - BEE rated, Gauteng based company in Pretoria, supplying SOHO Businesses, Corporations and multi-national Enterprises with their office automation requirements. B3 Media Products aims to be a full service, one stop shop to all our customers, supplying a full range of Computer Consumables, Stationery and a wide range of Hardware, Printers and Peripheral products in a wide range of market leading brands. We are renowned for our high level of service and focus ourselves on meeting and exceeding the expectations of the customer. boasts a culturally diverse and unique staff compliment on all levels, from dispatch to senior management. Our friendly and professional staff are always ready to answer your call regarding your computer supplies or any queries that you may have and will attend to your needs immediately. Our service is unique and unparalleled in its ability to provide quality attention and meet any demands. We strive to achieve a personal, yet professional relationship with our customers. In order to adapt to our rapidly changing market place, we have extended the same ethos to include all regions in South Africa and neighbouring territories.